A metal watch crown, a magnetic charger and two different sizes are among the changes made to the Asus ZenWatch 2. Retail support for the Asus wearable has been concentrated in Australia. Retailer Harvey Norman and Asus’ online store will stock the smartwatch as of 1 December. Lessons have been learned from rivalling smartwatch manufacturers. The ZenWatch 2 comes with a metal crown and in two sizes -- not unfamiliar to the Apple Watch. And it will compete with Apple’s wearable as it supports devices running both iOS and Android. The smartwatch itself operates on Android Wear. 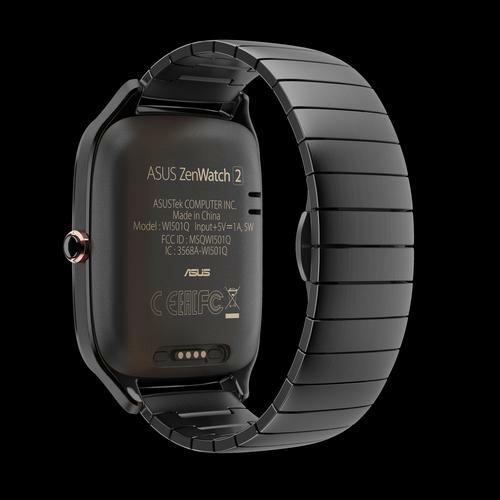 Asus is positioning the ZenWatch 2 as a “smart assistant”. Missing from this smartwatch is a heart monitor, although it retains a water-resistant IP67 rating and the intelligence to work with fitness apps. Casing for the smartwatch comes in Silver for both sizes and Gunmetal. Pricing starts at $299 for the variant with the leather strap and $369 for the variant with the metal band.